Hello to everyone reading this! 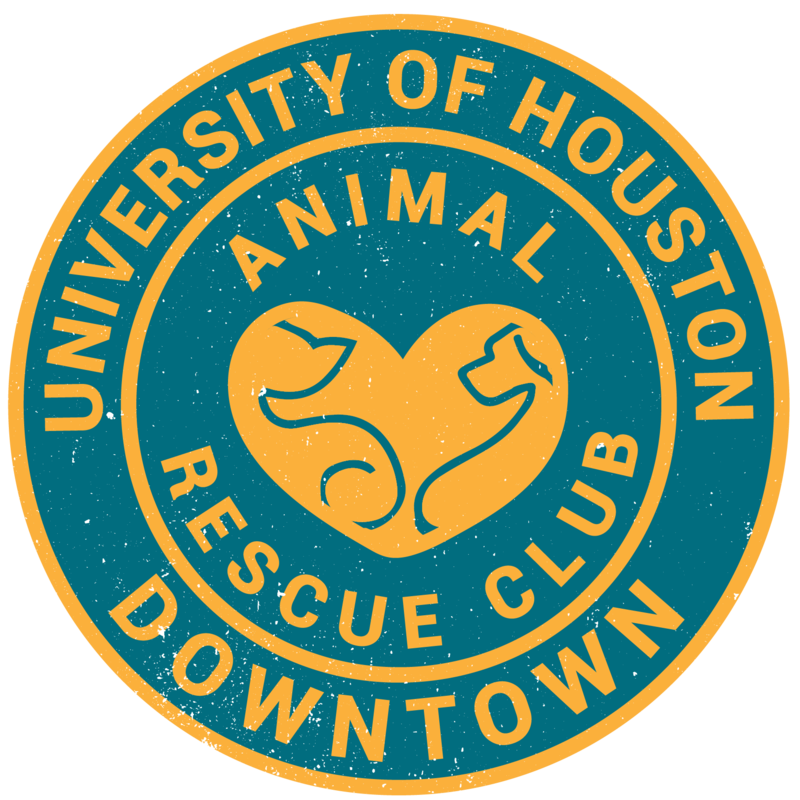 My name is Doris and I have just joined the UHD Animal Rescue Club this semester. I am a junior at UHD majoring in Psychology with a minor in Communications. I am so excited for all the opportunities to come that will help our four-legged companions. I am posting today to tell you the story of my first encounter with a stray dog (that let me get near it) and what I did to help it. One night, I realized that I needed something from the grocery store and hopped in the car and went about my way. I only made it down the block when I saw what looked like a pitbull mix walking down the road by himself. I parked my car in the middle of the street and asked anyone in the vicinity if the dog was theirs; everyone either said no or just ignored me. I own two small dogs, so my experience with large dogs is minimal but even then, I tried. It didn’t take much to get him into the car. I just let him sniff my hand, opened my car door and he just jumped in. I was a little apprehensive, until I started receiving doggie kisses while driving. This dog was just a big, sweet baby. But the next question was, what was I going to do with him? My house isn’t big enough for a big dog and honestly, I was not sure how my dogs would take to him. My mom and I made some adjustments and got him set up in a large crate for the night. The next day I called almost every shelter I could think of but had no luck because he was a stray and because of his breed. I was starting to lose hope. Antonio (this is what we named him) and I made our way over to Banfield to get him scanned for a chip, unfortunately he did not have one. They told me about a shelter that took in all animals. I thought I would give it a shot and headed over there. This had to be one of the saddest experiences I have ever encountered. On our way to the shelter I could not help but cry because I really wished that I could just keep him, but I couldn’t. I was also terribly upset that shelters were basically picking and choosing what animals they took in. Even though I only had him for one day I felt like he was my own and it was as if they were discriminating one of my own dogs. We arrived at the shelter and it was a pretty simple process, I signed in, gave information as to where I found the dog and then gave a donation. You aren’t required to, but I felt it was the least that I could do. We waited patiently until it was finally time for him to go. I asked if I could have a minute and gave him a big hug and wished him the best of luck. On my drive home I thought to myself, “I need to keep up with him and make sure he gets adopted.” That night I submitted my application to be a volunteer at the shelter where I left Antonio. I had previously volunteered at another shelter, but this shelter would allow me to keep up with Antonio and made me feel a little closer to him. All in all, I would say I have been volunteering at animal shelters for about 7 months now. Being that this was my first time experiencing anything like this, it opened my eyes to how often this happens every single day. I see strays all the time, but unfortunately not all of them let you get near them either because they are scared or aggressive. I followed up with Antonio at the shelter and learned that he was transferred to a private shelter since he had a high probability of being adopted. I hope that this post urges you to try and safely help stray pets and even volunteer if you have the opportunity.